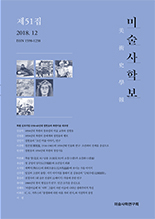 전영백,(2007).70년대 이후, 현대 회화의 쇠퇴와 복귀에 관한 미술사적 논의.미술사학보,29(),29-58. This research draws attention to the current blooming of painting throughout the world and attempts to explore its art historical context and other social and cultural causes. In the essay, I've dealt with various kinds of painting which went through rises and falls since the 1970s and discursive arguments around them. Painting in recent few years has certainly received a flurry of attention not only from art periodicals but in the international exhibitions. For example, Saatchi's 2005 exhibition touting as “Triumph of Painting” was the first UK blockbuster on painting in 24 years after that of the Royal Academy in 1981. There have been several 'returns' of painting in previous decades but those large shows in Europe like Paris, Basel and the Venice Biennale on the subject recently attest to new way of painting's burgeoning, or different kind of desire for the medium called 'painting'. In Saatchi's case, fifty-four artists have been shown across the mammoth three-part exhibitions including the six most influential European painters. They are Marlene Dumas, Martin Kippenberger, Luc Tuymans, Peter Doig and Jorg Immendorff and Hermann Nitsch. For the trend of painting's comeback, the east German Liga group needs to be counted. Described as the equivalent of yBa, those young figurative painters are attracting the attention of heavyweight dealers. Their common educational ground is the highly conventional Leipzig academy. In this paper, I've traced the stream of painting in art historical context since the late 1970s when expressionist paintings asserted its rightful stake in the international art world after about two-decade recession of painting. Such comeback has occurred a few more time by now. With the primary question of 'why painting is coming back?,' I've probed in crucial arguments on the status and identity of painting itself taken place on entry into postmodern era. Lots of critical analysis and assertion of the two very contradictory parts, that is to say, pros and cons of painting, were summerised and compared. I underlined the severe arguments between the editorials of October who mainly opposed to the rise of painting and other curators or art historians who supported it. Those discussing points, significant as they seem to be, are still relevant in thinking painting in contemporary terms. In recent returning, painting has been identified as mainly figurative painting and so-called 'self-conscious' art, where the artists are concerned about the process of painting itself, and its illusory qualities rather than storytelling. In addition to it, distinction between abstraction and figurative has been blurred so that abstract images may represent quite concrete story whereas the figurative can imply ambiguous and general image of certain thing. And the essay in its ending introduces a new sort of realism executed in recent paintings. Such traits shown in contemporary painting today allow us to see painting opening up to quite different ways of expression and transgressing over what is defined as the 'painting' and its limit of capacity to articulate.